The second generation of this coupe crossover came a little bit earlier than most of us expected. Still, that doesn’t mean we won’t see novelties for the second production year. The 2020 BMW X4 will come with a new, hi-performance version. The X4 M has been spotted on testing already and should be available by the end of the year. Of course, it will come with all those upgrades that are typical for the famous performance division. Count on much more power as well. On the other side, base models will continue in the same way. The recent redesign has brought completely new mechanics and aesthetics, so it would be strange to expect changes for the second production year. Count on a familiar look, but don’t exclude a possibility to see things like new color options, more standard equipment, and similar things. The 2020 BMW X4 should arrive sometime late in the year. In terms of base design characteristics, the 2020 BMW X4 definitely won’t feature any important change. The recent redesign came much earlier than we expected, but it has brought a lot of improvements. First of all, it comes with completely new mechanics. It rides on the company’s new, super-modular CLAR platform, which is used for pretty much everything from this manufacturer, except subcompact cars. The new design provides much better dynamics, handling, and overall driving characteristics, as well as higher comfort and more convenience. Of course, there is a new styling as well. The evolution of the brand’s famous design language continues, as the popular kidney grille is now even bigger and more angular. On the other side, the overall shape looks pretty familiar. Once again, don’t count on more important changes. 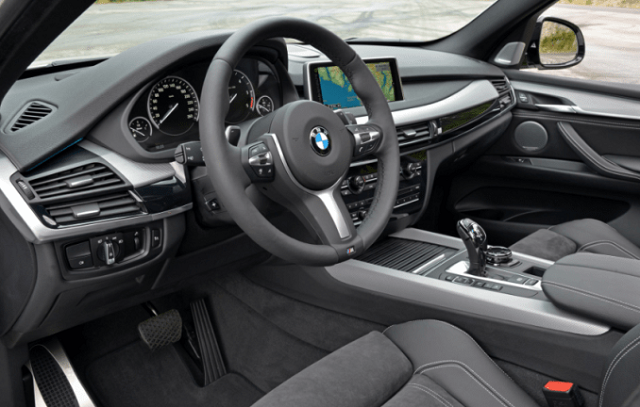 This model is heavily based on the X3 crossover, so it comes with a pretty much identical interior design. This particularly refers to the dashboard, which is pretty much the same. It looks good, though we must say that many rivals are more stylish in this aspect. The overall quality is on a high level as well. Due to a sloping roof, the 2020 BMW X4 will continue less practicality and functionality compared to typical crossovers. In practice, this means less headroom in the second row, as well as less cargo volume. You can count on 18.5 cubic feet behind rear seats and 50 cubic feet of overall cargo space. In terms of standard equipment, every model comes with things like a panoramic moonroof, a 12-speaker audio system, Apple CarPlay, navigation. Of course, higher trims offer even more. So, you can get things like 16-speaker Harman Kardon audio system, satellite radio, wireless device charging, Wi-Fi hot spot and many more. All models are equipped with the company’s familiar iDrive infotainment system, which is very easy to use. It is super-intuitive and very responsive. Most drivers also like the fact that the company kept plenty of physical buttons. 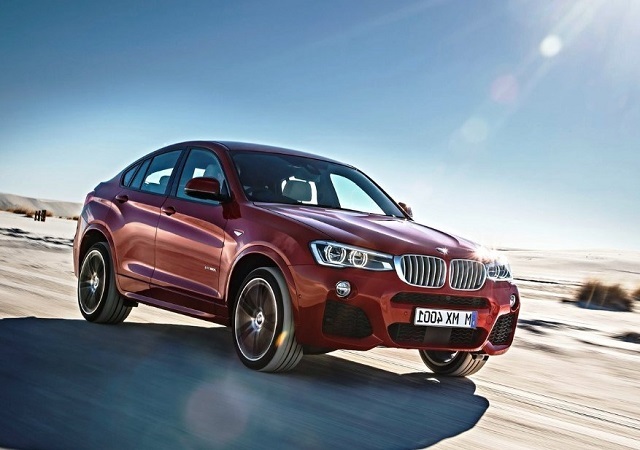 The 2020 BMW X4 will continue with two familiar gasoline units in the offer. Base models will feature a well-known 2.0-liter turbo inline-four, which is good for about 250 horsepower. It moves this crossover pretty effortlessly and also provides pretty good mpg ratings. With this engine, you can count on 22 mpg in the city and 29 mpg on the highway. An optional 3.0-liter inline-six is a perfect solution for those who want great performances, but also an efficient vehicle. This unit is good for about 355 horsepower, which is an amount of power that turns this crossover into a real street racer. Additionally, fuel economy is pretty good as well. You can count on 20 mpg in the city and 27 mpg on the highway. The next year is about to bring another powertrain option, but more about this one in the following paragraph. The biggest novelty for the next year will be a new 2020 BMW X4 M. This model has been spotted on the road already and it will definitely come with lots of improvements compared to standard models. Of course, count on lots of aesthetical upgrades. This refers to a completely new body kit, lower ground clearance, new wheels and much more. A lot of unique details will be found on the inside as well. Still, mechanical upgrades are more important. The 2020 BMW X4 M will come with a completely new suspension, new brakes, chassis reinforcements and several more modification that are typical for the company’s performance division. Finally, a few words about the engine. 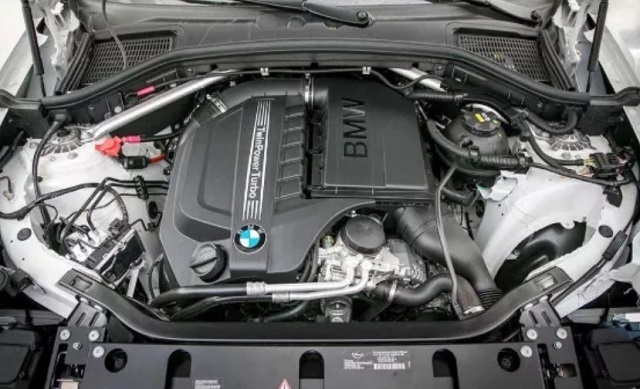 According to the latest reports, the 2020 BMW X4 M will come with a new version of a familiar 3.0-liter inline-six engine, Allegedly, it will be tuned to somewhere between 460 and 500 horsepower. We expect to see 2020 BMW X4 sometime late in the year. Base models will go around 50.000 dollars.